The Witness of History: What is the Worth of Human Life? Those who follow my writings here on this site know that I am a historian and that much of what I write, even regarding current events, is framed by history and the stories of those who came before us. That is one of my driving passions, a passion for historical truth, and a passion to ensure that the past is not forgotten. Sadly, it seems that our society, and even our education system is disconnecting itself from history. We have pretty much stopped teaching history in schools, and often what is taught is myth. As such we have become a society that through its ignorance of the past is ever repeating the worst aspects of our history. As a whole we are ignorant of our past, and that ignorance is demonstrated by many of our political, business, journalism, educational, and military leaders on a daily basis. Our lives must be woven together with those who came before us, without that sacred connection to the past, we endanger the future, and doom those who follow us. Cicero wrote, “The life of the dead is placed in the memory of the living.” Thus, it is for us the living to remember and never forget those who have gone before. That is why I write. 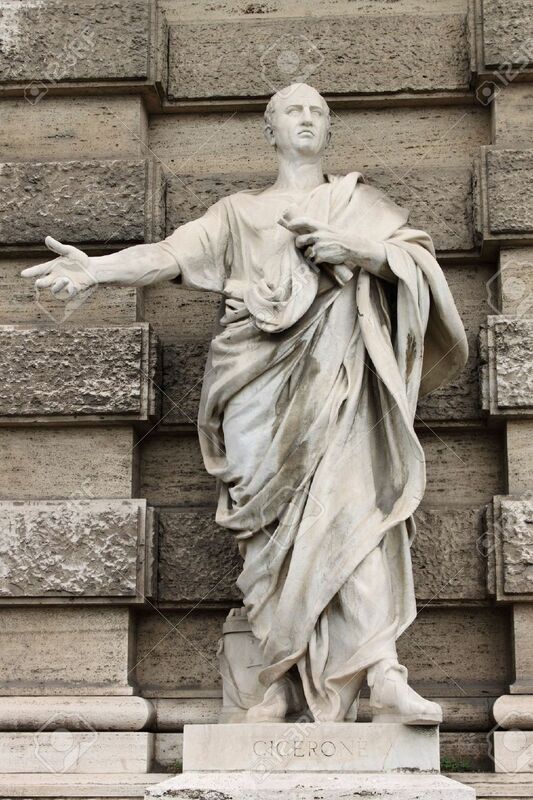 I will write more on things that Cicero wrote and said, including political and social lessons that are as relevant today as when he wrote them.